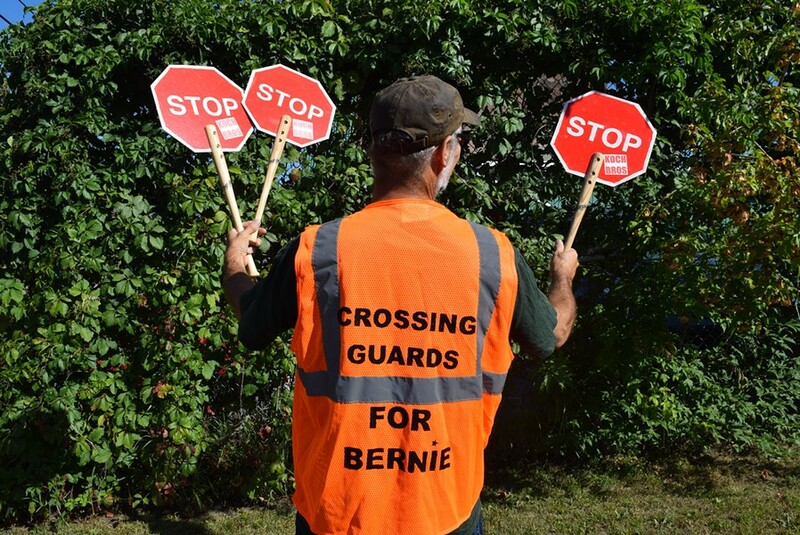 Steve Norman started the group Crossing Guards for Bernie to support Sanders' presidential campaign. There are Lawyers for Bernie, Women for Bernie, Bands for Bernie and Veterans for Bernie. So why not Crossing Guards for Bernie? Burlington crossing guard Steve Norman says he has launched the group to spread the word about his favorite presidential candidate, Sen. Bernie Sanders (I-Vt.). "There are 50,000 school crossing guards in the country, mostly retirees, single moms and disabled folks — few if any [are] millionaires," Norman said, tapping into Sanders' man-of-the-people message. The longtime lefty activist moved to Burlington in 1983 and has known Sanders since. Norman plans to take the first step toward spreading the word at roughly 4 p.m. Monday during the launch party for the new advocacy group Rights & Democracy in Burlington's Battery Park. He should be easy to spot: He'll be wearing a bright orange vest and holding a stop sign. He's adorned a vest with the words "Crossing Guards for Bernie." He's added "Koch Bros" stickers to hand-held octagonal red stop signs. 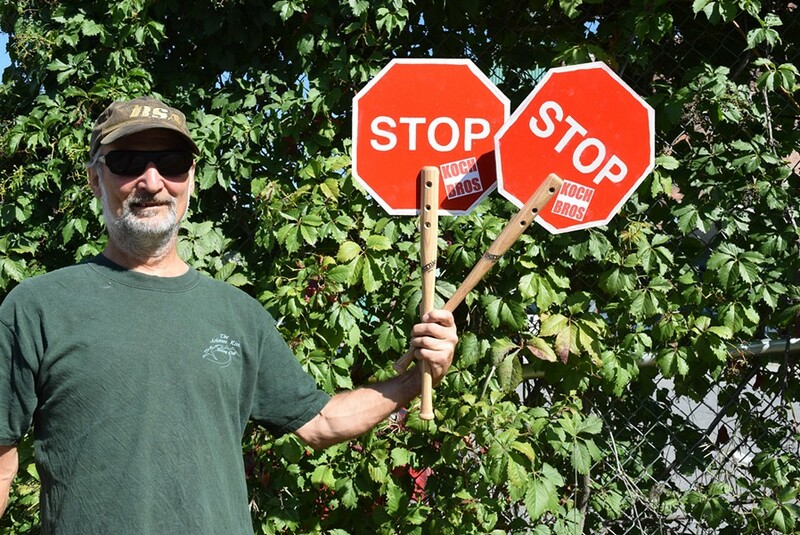 Norman hopes to rally fellow crossing guards, or even just crossing-guard supporters, to don the vests, pick up the stop signs and board a bus for New Hampshire to canvass for Sanders.